All standard Roehr Tool products are supported with 3d models, pre-engineered moldbase specifications and technical data pages. These can be found on our web-site or by calling Roehr Tool directly. For custom engineered and manufactured product, Roehr Tool will provide all moldbase and installation information required as it relates to our product. This includes 2d and 3d product CAD data, mold base plate thicknesses, sequencing requirements, bore and pocket details etc. 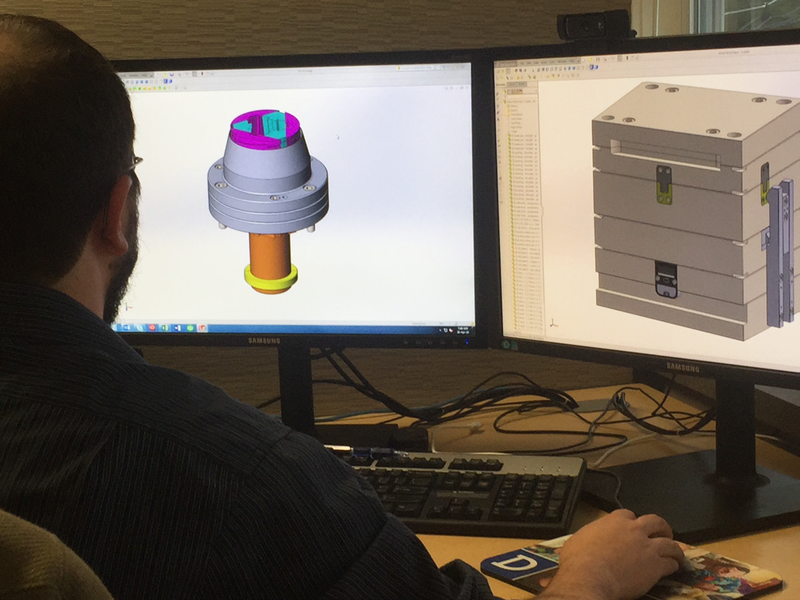 Our goal is to avoid your mold designers wasting time wondering how something is going to fit, function or install into your mold. Complete or Partial Mold Designs. Virtual and On-Site Maintenance Training. To whatever extent your engineering requirements are from simple molded part change recommendations to complete mold designs, the Roehr Tool Engineering Team is here to support you all the way, resulting in a successful and profitable experience for you and your customers.